Everyone has seen the meme. Here is a play on the Dr. Phil girl "Cash me ousside. How bow dah?" 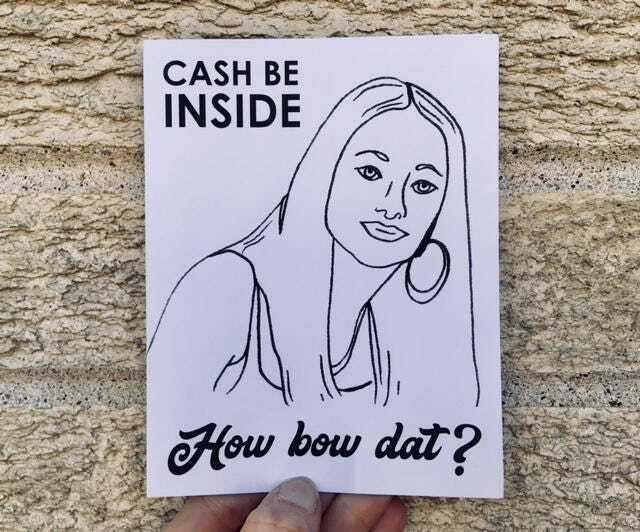 Well - if you have a card that you're going to stick money in, this would be the card you need because "Cash be inside. How bow dat?" The card is hilarious! Loved everything about it! This card is hilariously awesome. It was a hit! Fast shipping and decent pricing; can't be beat!